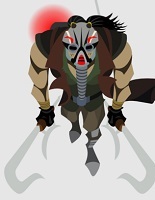 Kabal debuted in Mortal Kombat 3 as one of the new kombatants who would give the game a more urban feel. 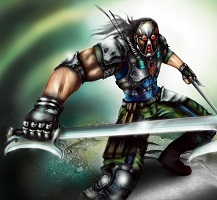 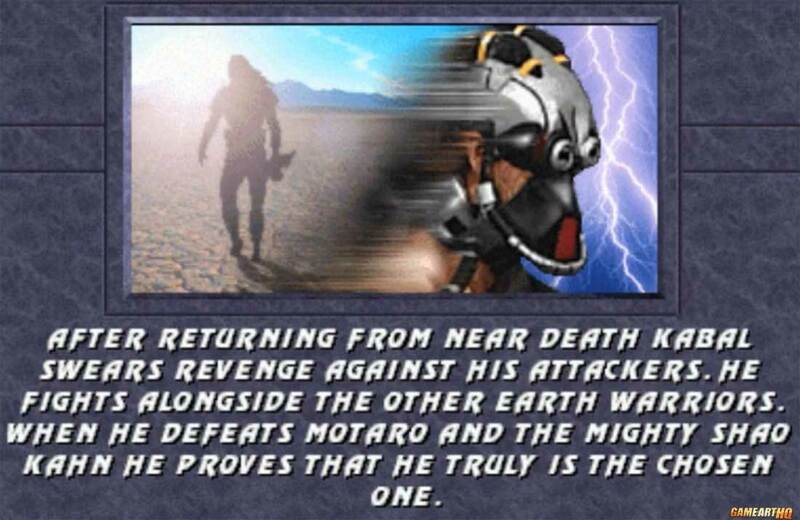 He is introduced as a chosen warrior who got attacked and almost killed by the forces of Shao Kahn and seeks revenge. 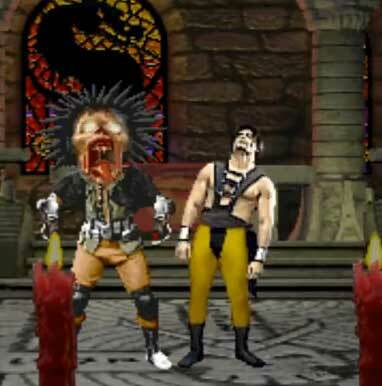 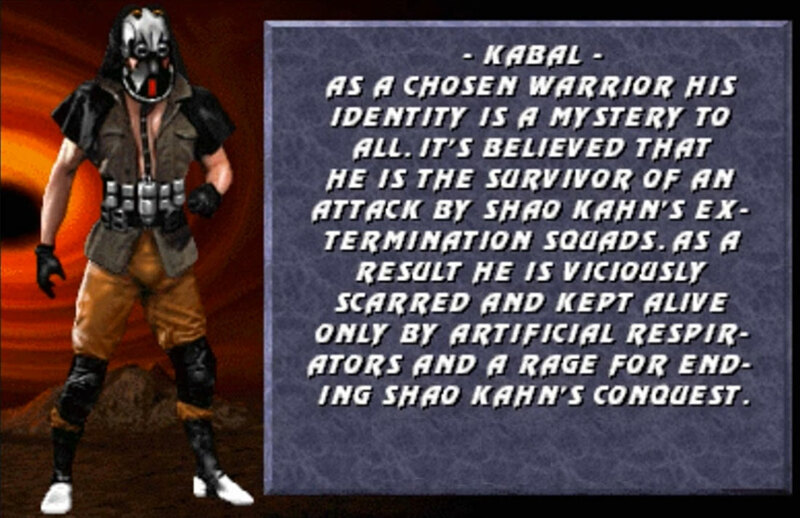 In his ending it was revealed that Kabal was actually once a Black Dragon and worked together with Kano but eventually changed sides during the Outworld Invasion. 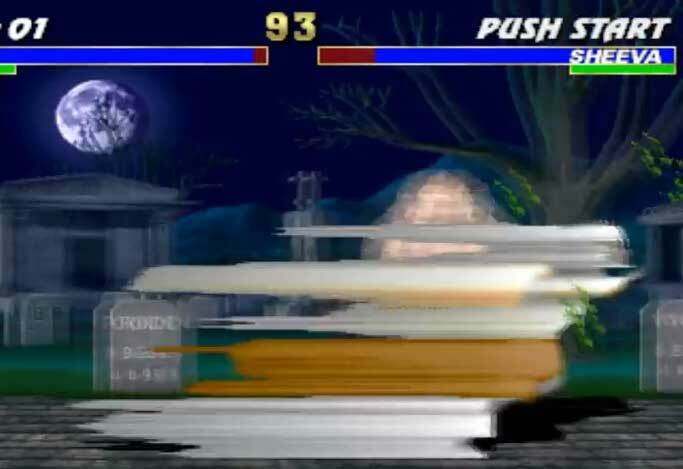 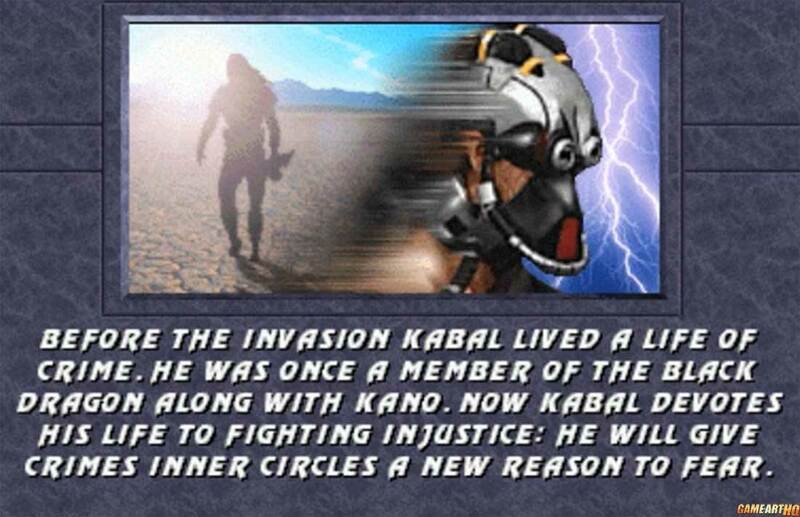 His complete past was revealed many years later in Mortal Kombat 9. 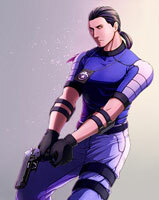 He got a pair of weapons with his hookswords and was able to summon a rotating saw and shoot a projectile, even in the ait. 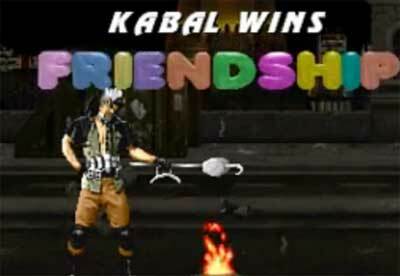 His most interesting special move at the time was definitive that “Tornado Spin” which allowed Kabal to use his many possible combos on the defenseless opponents. 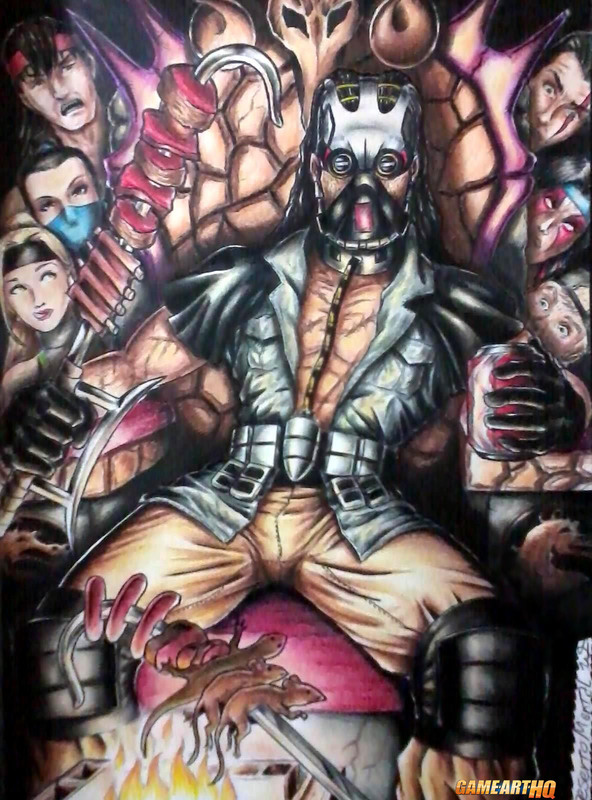 This friendship was the base for the traditionally drawn illustration of Kabal in his classic design by Deserto Mental!